What does it mean for his future in Philly? The Philadelphia Flyers hired Chuck Fletcher as their general manager on Monday in hopes that he can resuscitate the team. 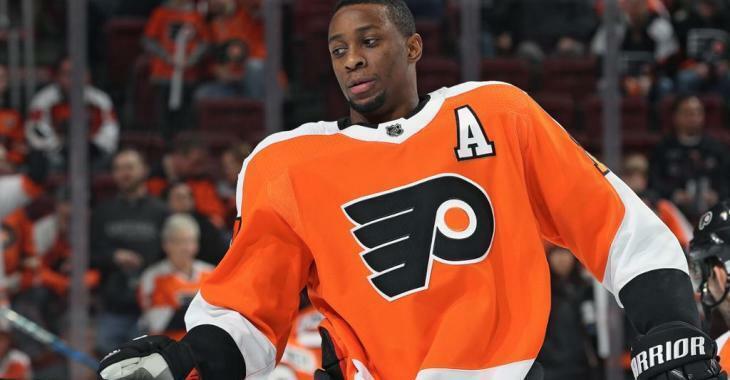 It will involve making a lot of tough decisions and changes to the roster, and the first order of business could have to do with pending unrestricted free agent Wayne Simmonds, whose future in Philly remains a big question mark. Before he was fired, Hextall had admitted he hadn’t spoken to Simmonds' agent, Eustace King of O2K Management, since Nov. 1 when the Flyers were in Los Angeles to face the Kings. Fletcher will have to start the communication again, and hopefully, be able to find a resolution before the trade deadline in late February. And this could mean to re-sign the forward or... to trade him elsewhere. John Boruk of NBC Sports however notes Fletcher recently said he believes culture “is very important in any organization to be successful.” This is the type of attitude that could work in Simmonds’ favor. Depending on where the next talks will lead them, Fletcher could also see the benefit in trading the veteran winger to make the Flyers "a more well-rounded team defensively."